Here at Barcodes Inc, we want to share on tips on how to configure your product. Every Tuesday we will share a tip on a product so you can have the knowledge on how to use your new scanner. The Honeywell’s Xenon 1902 series delivers a superior barcode scanning and digital image capture. Whether you want to use it in retail or at a health care environment. There’s two ways to scan with the the barcode scanner, a normal mode (press trigger to read) or a presentation mode (the scanner is activated when it sees a barcode). The presentation mode is usually being used with the stand to hold the scanner and for products to be scanned right below it. In order for you to switch between the two modes, here are barcodes that you can print and scan to change the setting. A new method for producing medicine has been developed by researchers from the University of Copenhagen in Denmark and Abo Akademi University in Finland. 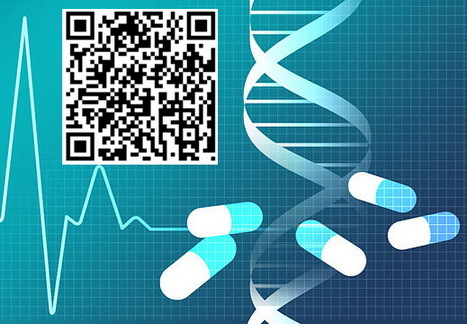 They can produce a white edible material, on which they can then print a QR code consisting of a medical drug. This could be a solution and a possible replacement to the current method of mass production of medicine. Currently someone with a given illness will get the same product with the equal amount of an active compound as another patient with a less severe illness. “This technology is promising, because the medical drug can be dosed exactly the way you want it. This gives [us] an opportunity to tailor the medication according to the patient getting it,” said Natalja Genina, an Assistant Professor at the University of Copenhagen. The shape of a QR code will also enable the storage of data on the medicine itself. According to Genina all that’s required is a quick scan and the information of the given medicine would come up, this could reduce the cases of wrong or fake medication. “If we are successful with applying this production method to relatively simple printers, then it can enable the innovative production of personalized medicine and the rethinking of the whole supply chain,” said professor Jukka Rantanen from the University of Copenhagen’s Department of Pharmacy. Currently, researchers are working to refine the methods for this medical production. Barcode and RFID labels are choices that enterprises must choose to improve efficiency. Which are the most cost- effective and reliable in the long run for your operation? RFID labels have electronically generated unique codes and barcodes use standard protocols. In an inventory collection setting, a barcode label can tally up items in the stock according to product type, manufacturer, and stock level. Employees will have to manually check for item specifics such as color, price, and purchase date of individual items. 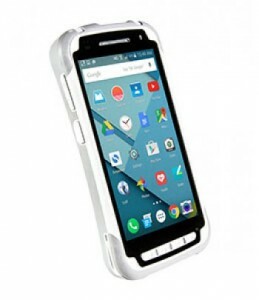 On the other hand, RFID labels are capable of loading up 2,000 proprietary byte of information and be able to tally up individual items in inventory too. 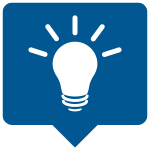 For example: A barcode label would be able to tell a grocer how many gallons Milk A and Milk B was in the cooler but an RFID label will be able to disclose where each gallon of milk came from the farm and distributor. Ultimately, if printer properly both barcode and RFID tags can eliminate human error and contribute to enterprise efficiency compare to when items are accounted for by hand. Purchasing either barcode or RFID solutions depends on the depth of data required by an enterprise and how the system will be used in the field. Label consumers have to make a decision based on the needs and financial constraints. If you need guidance on which solution to choose, feel free to contact one of our dedicated account managers and we will be happy to help. Follow the chain of process of how a pair of shoes enter through the internet of retail. From how a barcode label can help products go through shipping, receiving, product identification, price labeling, re-pricing, support, to loyalty, and self service check out. It brings values to retailers and customers. For retailers, mobile technology can increase productivity and accuracy of the whole supply chain. For customers, it keeps them more engaged in the whole shopping experience and loyalty card can provide a more personalized experience. Check out the flow chart below and feel free to contact our dedicated account managers on more info how our products can help you in the Internet of Retail era. BarTender is a label design and printing software. 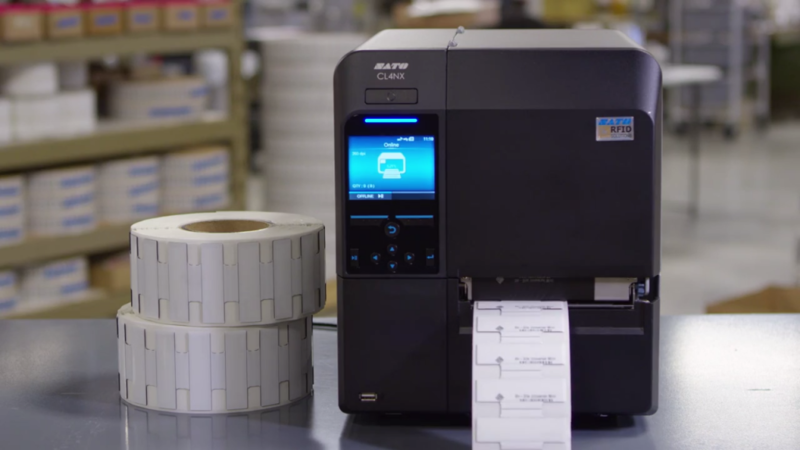 It is used by companies to create and automate labels, barcodes, RFID tags, plastic cards, and much more. BarTender software by Seagull Scientific offers more than 400 preformatted, ready to use barcode components to create and automate the printing of barcodes. Users can rely on the software to accelerate the speed of goods moving through the supply chain, ensure workers to know how to handle hazardous materials safely, improve retail control of shrinkage and loss prevention and much more. With tools to easily and efficiently design labels and templates, configure and pull from data sources, and launch print commands from any OS or device it can help you keep pace with your growing business. 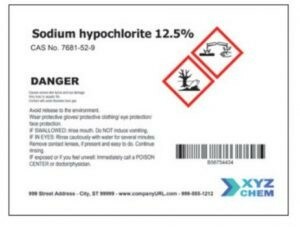 Chemical manufacturers, distributors, and importers use it to meet GHS standards and other labeling requirement. Furthermore, it offers four editions: basic, professional, automation, and enterprise automation to enable you to easily upgrade your system as your business grows without the extra cost and complexity of buying add- on products. Sign up for a free 30-day trial with one of our dedicated account managers to help you find the right edition that fits your needs. Business is in the palm of your hands when it comes to the Honeywell’s Voyager 1602g. Affordable, yet high performing. The scanner packs high- performance area- imaging technology into small pocketable form factor- making it a powerful tablet scanning companion – based retail point of sale and field service applications. 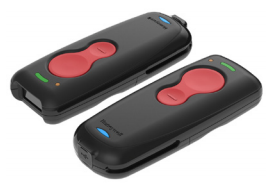 Despite its small size, this pocket scanner holds the same high performance area- imaging engine found in our full size handheld scanners- so you can simply scan all the 1D and 2D barcodes. It quickly pairs up with your Apple iOS, Android, Windows mobile device, or a standard PC or laptop and can scan barcodes right off your customers’ mobile phone for revenue- generating mobile marketing initiatives. Capable of reading barcodes off smartphones. For any questions or a quote on any of your scanner needs contact us at Barcodes, Inc. 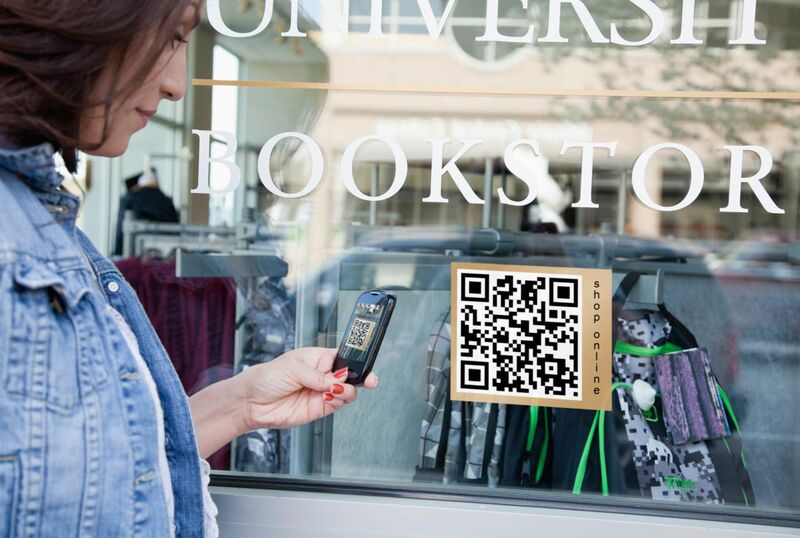 The use of QR codes in the retail industry is expected to increase in the coming years. According to Juniper Research, QR coupons redeemed via a mobile device is expected to reach 5.3 billion by the year 2022. In comparison QR coupons used in 2017 reached about 1.3 billion. That’s an expected 81 percent increase in about 5 years. Target is already on board with QR codes recently announcing a QR code-based payment system that will allow consumers to scan offers directly to their device. The retail industry stands to gain from the usage of QR codes and there are many ways to incorporate them in the shopping experience. As discussed above QR Coupons are just the start but are still an integral part in incorporating QR codes. Consumers, as one myself, are just trying to find a deal that’ll be easy on the wallet. QR coupons are a great way for consumers to get a deal and an easy way to start for any retail business. There are many ways a business can get started with QR coupons; printing physical QR coupons is one possibility. To do so a barcode printer and barcode software would be needed in order to create and print coupons to hand out to the consumers. Another would be to create QR codes for mobile devices via an email promotion. 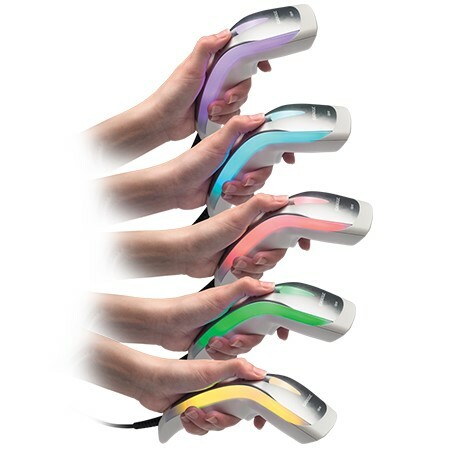 One thing is certain, a barcode scanner capable of scanning QR codes will be needed to scan any coupons consumers bring in. Using QR codes for window shopping should be taken both literally and figuratively. What I mean by that is, literally putting QR codes on window display products. This would benefit retail stores located in malls as consumers walk by they can scan a QR code associated with a product. Figuratively consumers tend to do a lot of “window shopping” in stores by just looking around. Consumers want as much information as possible about a product before purchasing. Using QR codes in the window shopping fashion could give consumers access to product information with videos and reviews. To piggy back off the figurative “window shopping”, QR codes could revolutionize the in-store experience for the consumer. Placing QR codes on the product packaging will allow consumers to learn valuable information about the product. QR codes could contain videos explaining the product to the consumer or it could contain a link leading the consumer to customer reviews. Another possibility would be sampling certain products like music, a consumer could scan the QR code of a CD and listen to track samples. Lastly, consumers could be given the ability to purchase the product directly from the QR code and have the product shipped anywhere. QR codes could help inform consumers of upcoming sales, promotions, or an interactive view of new products arriving to the store in the near future. The retail industry can use QR codes to encourage consumers to sign up for their newsletter. Perhaps a sign up feature could be included in the QR code encouraging consumers to sign up with their email address and receive special deals in the future. Most Consumers now a days have a mobile device on their person. Retailers can use that fact to help improve the consumer experience while at the same time change the retail landscape. For any questions or a quote on any of your QR code needs contact us at Barcodes, Inc. Your brand is important to your business and customers; it defines and sets the stage for your enterprise. The design of the Datalogic’s Heron HD3100 Linear Imager extends your brand design to the final interaction with your customer, reflecting the same artful considerations you have put in your products. The new Heron HD3100 is a linear imager that offers an innovative and unique design with illuminating colors and custom sounds. It can read 1D barcodes at high performance speed. With the Datalogic patented “Green Spot” technology for aiming and good-read feedback.